Large areas of MDF display cases used at the Powerhouse Museum required an urgent Fire Rating solution. The CAP508 intumescent paint system achieved all the necessary requirements. This classic Sydney apartment block was undergoing a complete fire order upgrade and required a cost effective non destructive solution to retain and fire rate original ceiling construction. One of Sydney’s most significant heritage buildings required additional fire rating to timber and plasterboard surfaces to reduce risk of flame spread and provide fire separation between areas as part of a fire engineered solution. Polyurethane foam used in the original construction of this large existing roof structure became a fire risk when plans for a new roof revealed a potential for fire. The CAP508 system allowed the original substrates to be kept exposed in this first stage works without the need to be lined with fire rated boarding. Required Fire Ratings where achieved and Heritage significance retained. Existing standard plasterboard ceilings required fire rating to achieve an FRL of 60/60/60. Ormond College is a beautiful historic building and is the largest residential college of the University of Melbourne. It is home to 332 undergraduates, 34 graduates and 27 professorial and academic residents. Our client wished to retain the exposed timber structure of this unique building whilst providing fire protection to an upstairs dwelling as required by the Building Code of Australia. Council issued a Fire Order requiring a fire separation between floors of 60 minutes for this apartment block of 14 units. Part of the fire rating requirements placed on this North Sydney block of apartments was to achieve a fire separation between floors of 90/90/90. 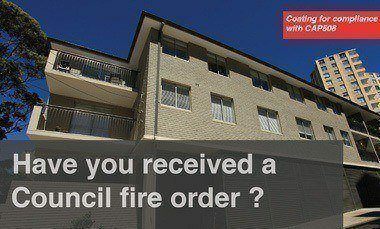 Aged care centres are required to comply with a high standard of fire protection because of the lack of mobility of some residents.